I love Tea Tree Oil! I have even come to love the piney smell when I open the bottle. There are so many uses for it and it works for everything I have used it in and on. When I first bought Tea Tree Oil, I had read about using it for acne so it was bought for Jamie. Let me tell you quickly, it works and rather fast unlike all those over the counter creams that never worked when I was growing up. For the past several months, I have been using it in my shampoo. After Christmas, I started letting my hair grow back out and was looking for something that might work with the Biotin I was already taking. I stumbled over a couple of articles written for African American women and their hair and thought "why not?" after reading them and several others about hair growth. In all seriousness, it really works for hair growth or I have a very good imagination! Now, I take Biotin every day and only wash my hair about 3 times a week; maybe one more time if I leave the house. 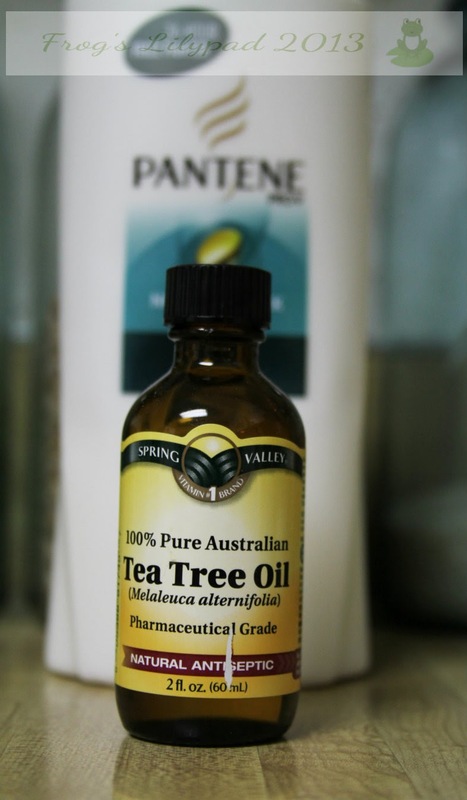 In some of the articles written about Tea Tree Oil shampoo, the idea of using it for oily hair was mentioned several times and how it seemed to work for some.When I started this, I had to wash my hair everyday because of oil and after trying this for a couple of weeks, I was able to cut back on the number of washes each week. YAY! When mixing the first bottle of shampoo and oil, I used a small amount for the tester. I did this, so I would not have a big mixture that I would not be able to use for whatever reason. After using it with no ill effects, I now mix a half a bottle of shampoo with about 15-20 drops of oil (I keep adding until the TTO smell is stronger than the shampoo) and shake the bottle like there is no tomorrow. Since we have soft water, I have been able to stop using a conditioner on my hair. Soft water and Tea Tree Oil shampoo go hand in hand! My hair is thicker, softer, and oil free. It is unbelievable!